An article in the Independent recently published talks about solar panels producing electricity on a larger utility scale. This is where a large array of solar panels are installed to produce large amounts of electricity in the multi MW region. These “solar farms” will become part of the land scape in Ireland particularly if a Feed in Tariff (FIT) is introduced in Ireland. There are certainly many solar companies currently vying for suitable land to install solar panels in advance of a favourable decision on the FIT. 1. Land owners have been offered over €1,000/ac for 25 years by a number of different developers looking to secure the best sites in advance of the Government publishing its policy on renewable energy. 2. All going well the next 15 years will see up to 10,000 jobs being sustained by solar power projects. 3. The main driving forces in determining where solar panels can be installed in these numbers are the solar resources available and the grid connections available. The areas where the resources for solar panels are high and the cost of the grid connection is low are the best sites for now. 4. The advice for Irish farmers is to proceed cautiously with any approach and do their research. Get a few quotes if possible but go for a reputable company with experience. 5. The IFA are warning farmers who are being approached regarding land deals to be cautious about the companies they are talking to. They should firstly make sure these companies have actually produced solar energy previously. 6. 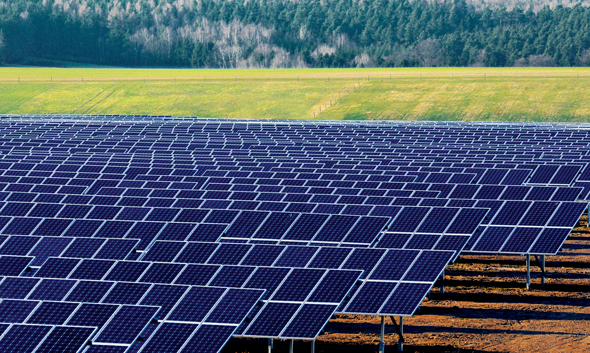 Solar farms and solar panels will increase in popularity in Ireland. There is plenty of scope in the country for solar panels. Also investors like the technology because it is a stable investment. 7. The costs involved in these solar farms are still higher than wind or Biomass but there are advantages to using solar panels that other technologies don’t have. There is no maintenance and the project can be completed much quicker than other renewable projects. Solar power costs up to €150/MWhr, compared with €69 for fossil fuels. However, it is the cheapest source of renewable energy after wind.